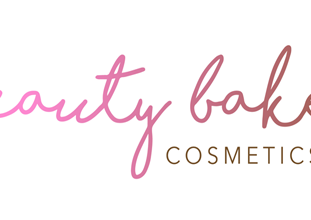 Beauty Bakerie is a cruelty-free cosmetics brand and online beauty store. Their operations have expanded the brand worldwide in dozens of physical retail locations. The cute designs, quality products, and large catalog have created a passionate following and placement in the makeup industry. Beauty Bakerie’s humble beginnings have guided its personalized touched leading it to be featured by Beyonce, BuzzFeed, Forbes, HuffPost, and other, leading networks. The Beauty Bakerie affiliate program pays an average 7% commissions for all sales on their site. Upon joining, partners in the Beauty Bakerie program can access creative and promotional banners, reporting tools, and access to one of the biggest up-and-coming brands in its industry. Sign up is quick, easy, and free, and perfect for those in the beauty niche. The Beauty Bakerie program provides the basics for affiliates – no whiz-bang features but enough to get things rolling. The commission structure of the program is ample, but the real winner is its niche placement and strong branding in the beauty space. The Beauty Bakerie offers and promotions are a one-of-a-kind promotion for you and your community. This unique brand doesn’t have the biggest product catalog nor a tech-rich program. But, we think you’ll love promoting the brand because they’re fun and creative.